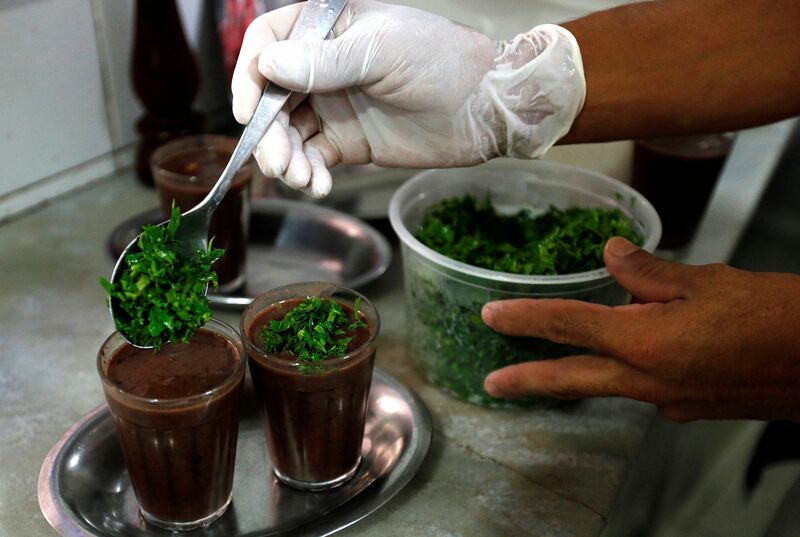 RIO DE JANEIRO (REUTERS) - If the most popular foods of Rio de Janeiro have one thing in common, it is their informality. While you can find fine restaurants in Rio, what sets the city apart and brings its residents together is the unpretentious food they eat in crowded bars and on busy street corners after a day at the beach. This meal, feijoada, that many trace back to the food given to slaves on sugar and coffee plantations, can be found throughout the city, but many consider Bar do Mineiro (Rua Paschoal Carlos Magno, 99 - Santa Teresa) to be among the best. Located in the bohemian Santa Teresa neighbourhood on a hill overlooking Rio's downtown, they serve a wide variety of cachacas, a clear sugar-cane liquor that forms the basis of the caipirinha, Brazil's fruity national drink. Brazilian barbecue, churrascaria, has gone global and you can find expensive versions in Asia, Europe and North America. But if you want to eat a more humble version that takes you back to a less ostentatious age where the all-you-can-eat "Rodizio" grill began, try Churrascaria Palace (Rua Rodolfo Dantas, 16 - Copacabana) a half block from Copacabana beach and across the street from the Copacabana Palace, the city's most storied hotel. The waiters will keep the food coming until you say stop. Popular cuts include picanha (top sirloin cap), alcatra (sirloin) and fraldinha (flank steak), while the long-grilled beef ribs are a house speciality, served with panache. 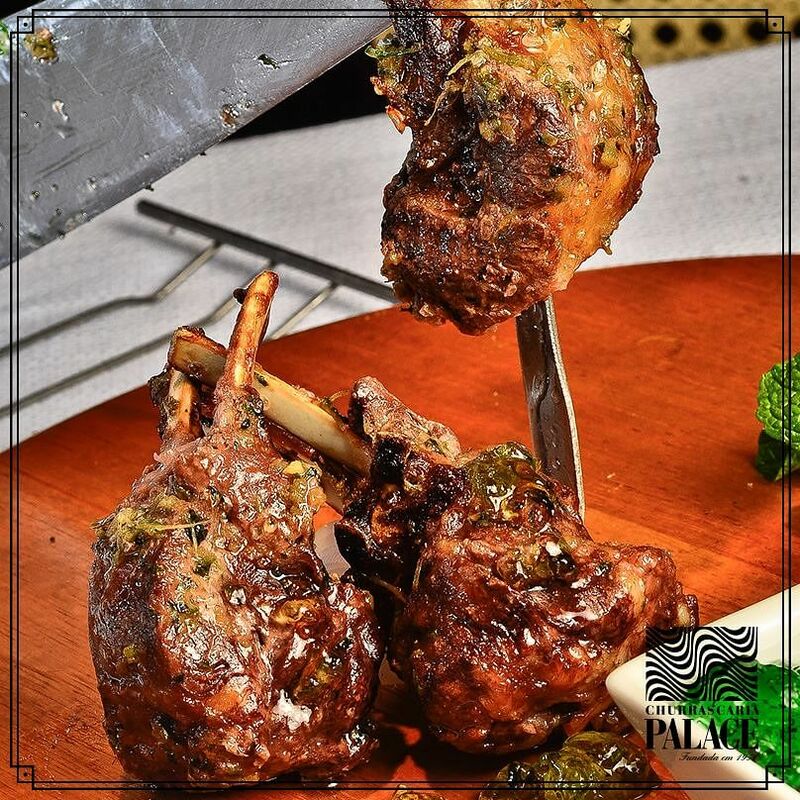 If you are not in the mood for a meat overdose, you might try one of the many non-rodizio churrascarias in the city. One of the most popular is the always full Brazeiro da Gavea (Praca Santos Dumont, 116 - Gavea). The house favourite is its grilled linguca, or sausages, brought around on demand. 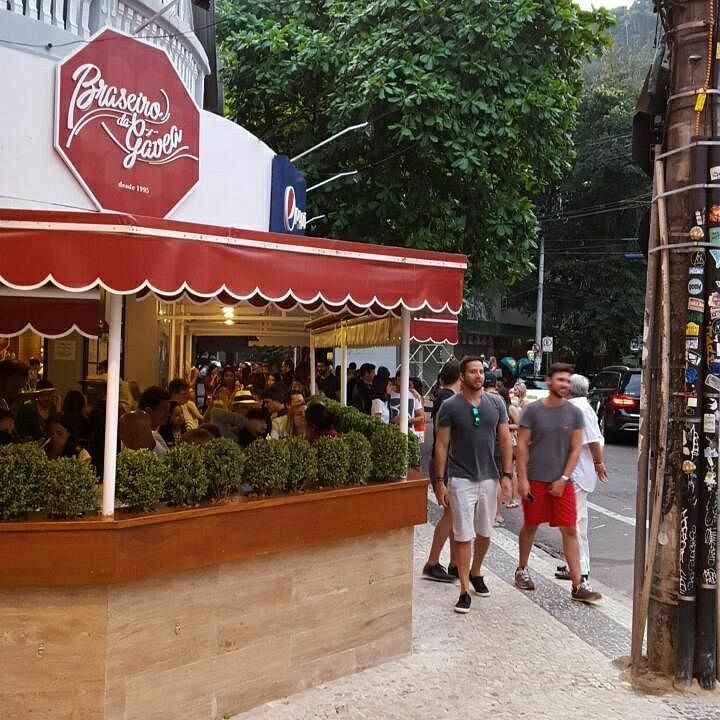 It is the perfect way to open an evening of drinking along the bustling streets and restaurants of one of Rio's most popular night-time neighbourhoods, Baixo Gavea. Of the myriad street foods, one of the most popular is the pastel, a large deep-fried dumpling filled with cheese, meat, chicken, shrimp and other delights. They are easiest to find at the weekly farmers markets where locals buy produce. With a glass of fresh-squeezed sugar-cane juice (caldo de cana) or coconut water (agua de coco), a pastel is the perfect thing to hold off hunger as you lug your vegetables home from the street market to cook lunch, or after a walk on the beach. Podroes are the "filthy" street sandwich stands, many of which ring the edges of the busiest night life districts. Not all of them are dirty. They serve up cheap hamburgers, hotdogs and other sandwiches on a griddle with all the trimmings, just the thing you need after a night of partying. One of the best is Sanduicheria Rio Joana (Corner of Rua Otacilio Negrao de Lima and Rua Gonzaga Bastos - Vila Isabel). Churrascaria de Rua or street grill - sometimes called "cat grills" (churrascaria de gato) because of an urban legend that said they roasted cats - remain a local favourite, offering your basic beef, chicken and sometimes vegetables on a stick roasted over coals. A popular stall is found in Tijuca at the corners of Rua Uruguai and Rua Barao de Mesquita near the Uruguai Metro stop. Besides selling grilled meat, these stalls also offer sausages and sometimes, a tasty roasted rubbery cheese known as queijo coalho. Bolinho de Bacalhao, or codfish croquettes are perhaps the most famous Rio de Janeiro bar food. But a sublime bolhinho, with the right mix of salt-cod, flour, potatoes and spice fried in the right oil, is hard to find but try the one at Cantinho das Concertinas (Rua Capitao Felix, 110 - Benfica), a popular meeting place for Rio's large Portuguese community. Pao de Queijo, or Brazilian cheese bread, comes from the neighbouring highland state of Minas Gerais but perhaps the best pao de queijo of all time can be found in Rio at Cultivar (Rua Paschoal Carlos Magno, 124 - Santa Teresa) in Santa Teresa. Sardinha Frita, or batter-fried sardines are a staple of the city's central port district. The large Brazilian sardines are gutted and butterfly split into a flat mat, battered, deep fried and served in stacks of ten with the tails on. The best place for sardinha frita is Beco das Sardinhas or "Sardine Alley". Of the sardine fry shops there, the most famous is O Rei dos Frangos Maritimos (Rua Miguel Couto, 139 A - Centro). It is just two blocks from the new museums, revitalised docks, cruise ships and Olympic cultural activities on the recently renovated Praca Maua; the area and its most famous snack are regaining popularity after years of neglect.